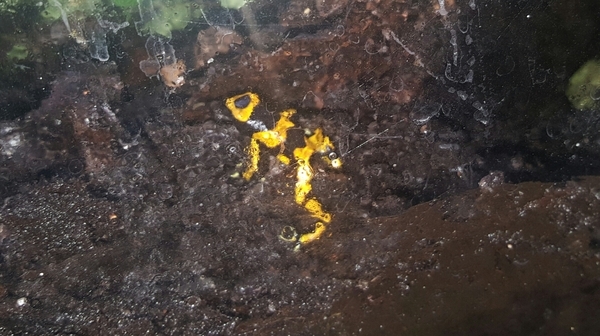 Description: One unsexed bumblebee dart frog for sale. C/b 2016 from unrelated pair, currently approx 15mm. Feeding well on D. melanogaster and springtails. £25 collection only from Loughborough area.